Hardwood floors can be difficult to maintain if you don’t do some regular cleaning. However, a weekly cleaning with a good vacuum cleaner can do your hardwood floor wonders. If you’re looking for a good vacuum, we present to you the Hoover FloorMate Deluxe Hard Floor Cleaner, FH40160PC. This vacuum will not only get off the surface dust and dirt, but it can also pick up the dirt that may have been caked on the floor for a little while. 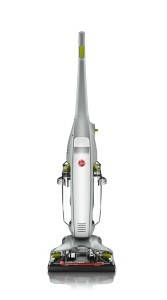 Hoover’s SpinScrub technology will allow you to vacuum, wash, scrub and dry your floors with a single machine. The days of getting on your hands and knees to scrub the floor are gone when you have this deluxe vacuum cleaner! A lot of vacuum cleaners are versatile, but they require some effort to do what you want them to do. That is not the case with the Hoover FloorMate Deluxe Hard Floor Cleaner, FH40160PC. With just a simple flip of a switch, you can clean, wash and dry your hardwood floors to make them shiny again. The ease of use is one of the best things that people like about this vacuum. Of course, a vacuum isn’t good if it doesn’t get the job done. This is one of the best hardwood floor vacuums on the market, and a lot of that has to do with the SpinScrub technology that scrubs the floor from all angles. 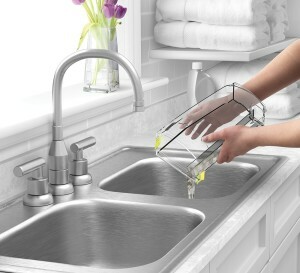 And you won’t have to worry about whether you are cleaning with dirty water because the dual tanks keep them separate. 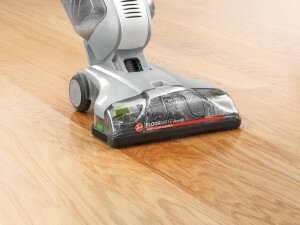 At less than 15lbs, it’s not too hard to maneuver around and can be used as your primary vacuum for your hardwood floors. At just 20-feet long, the short cord is one of the most complained about parts of the Hoover FloorMate Deluxe Hard Floor Cleaner, FH40160PC. Unless you have a very small area to vacuum, you will likely be switching outlets frequently. Since the cleaning brushes are set back a little bit from the front of the machine, you won’t be able to get flush with the baseboards or corners in your house. You may have to get a mop or sponge to clean those areas. Even though 15lbs isn’t too heavy for a vacuum, some people have said that it seems a lot heavier. It could be because of the amount of water that it holds when it gets full, so that’s something to keep in mind as well when making your purchase. Hoover’s SpinScrub technology is what makes this one of the best vacuum cleaners on the market. Being able to wash and dry your floors without breaking your back or straining yourself is worth the price that you will pay. Speaking of price, the Hoover FloorMate Deluxe Hard Floor Cleaner, FH40160PC is priced reasonably. If you’ve ever struggled with keeping your hardwood floors clean, or if you need a deep clean on them now, then this vacuum is the perfect fit for you. Once you use it a couple of times, you will have your floors shiny again and you will want to use the vacuum weekly to keep them like that. Hoover is synonymous for making high quality vacuum cleaners. The Hoover Company has been around since 1908 and is a household name in the floor care industry. Whether you need a lightweight vacuum for cleaning up an occasional mess, or if you want a vacuum that will pick up the toughest dirt, Hoover will have a vacuum for you. It’s no wonder why Hoover is the number one vacuum cleaner brand worldwide.